Also includes a detailed table of contents. Peter Broida presents this video training course on settlement of federal sector personnel cases. Each purchase includes Mr. Broida’s lecture (.mp4 video file sent on a CD-ROM); workbook with reference materials and course notes–outline; and a bibliography. Major settlement topics include the basic components of an agreement; settlement notebook; checklist for a typical settlement of an adverse or performance based action; and settlement formalities. Peter Broida presents this video training course on federal sector mediation. 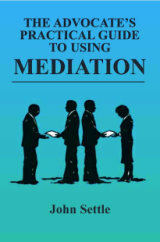 Each purchase includes Mr. Broida’s lecture (.mp4 video file sent on a CD-ROM), a workbook with course notes—outline and listing of related products, and a copy of The Advocate’s Practical Guide to Using Mediation by John Settle, a prominent mediator. Major mediation topics include: issues amenable and not amenable to mediation; reasons to mediate; preconditions to settlement; traits of a good mediator; sources of mediators and mediation programs; mediator selection; mediation structure; preparation for mediation; the mediation process step-by-step; development and review of settlement agreements; and keys to effective mediation. 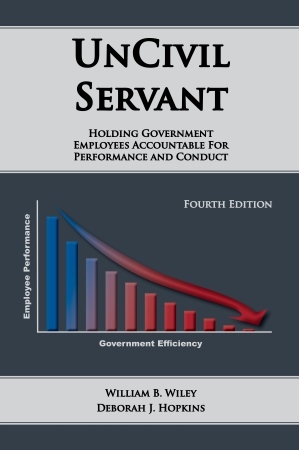 This text educates federal supervisors and managers on the philosophy, structure, and detail of administering discipline in the federal service. Disciplining Federal Employees begins by leading supervisors through the four sequential decisions they must make in any disciplinary action. The book then describes how to apply these decisions to the most common disciplinary situations. The two extremes of preventive measures to keep good employees honest and winning tactics for firing the worst employees complete this text. “Good case examples” are provided at the end of each chapter to help bring each chapter’s lesson into focus.